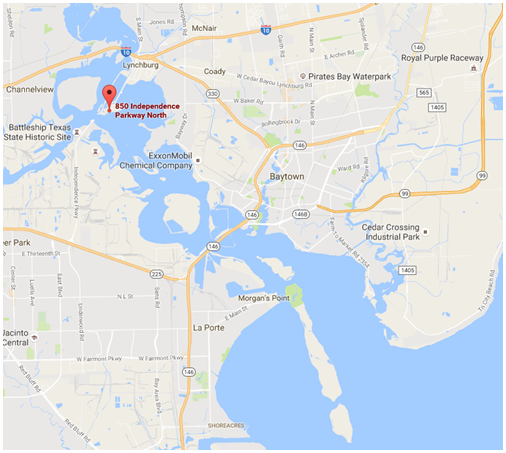 ​​ BAYTOWN - An industrial land site located at 850 Independence Pkwy. N. in Baytown has sold. Avera Cos. acquired the 41.7-acre site at the entry of the Houston Ship Channel. The U.S. Army Corps of Engineers has permitted the land for four distinct lease areas, including the Barge Terminal and Fleeting Army, dredge material placement area, potential reclaimed land, and future fuel and deep-water terminal distribution facility. The land provides a deep-water terminal space with prominent pipeline corridor access. ​Learn more about Houston-The Woodlands-Sugar Land Industrial Market Research.